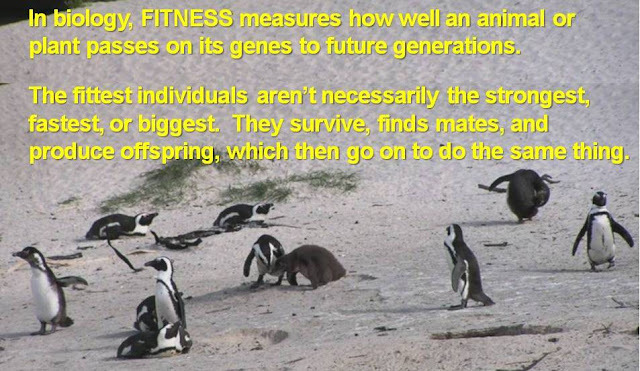 Here is a quick look at some other famously hard-working animals that give their all for the good of their societies. While animals of all shapes and sizes live in social groups, insects are superb examples. Ants, bees, wasps, and termites are well-known social insects: most species live in the tight quarters of their colonies of tens to thousands, living, working, and sacrificing together. The colony begins with a single queen, who finds a suitable site, lays a few initial eggs, helps her first daughters -- the worker bees -- build the first few cells, and goes about her life laying thousands of additional eggs. From these hatch many new worker bees to build up the colony of up several thousand bees. For me, the video gives new meaning to the phrase busy as a bee. After they hatch, worker bees do just that -- they work to keep the hive functioning -- cleaning up, finding food, feeding and caring for larvae and young bees, etc. 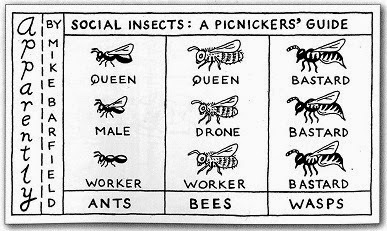 The workers not only contribute their labor day after day, they also give up their own breeding potential for the good of colony stability. 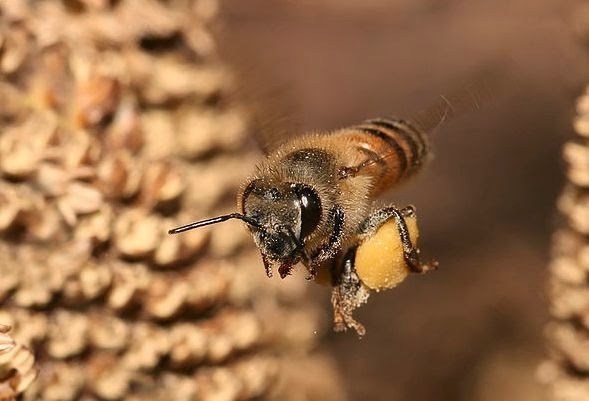 We love bees because their pollinate our crops, but when the workers actually bring protein- and energy-rich pollen back to the hive, they don't even eat it. Instead, they give it to the larvae, who are not their kids, so these future co-workers can eat it and grow strong and healthy. Why don't these workers, who are all females, also breed and lay their own eggs? They'd like to, as it would, of course, increase their biological fitness, but the queen produces a chemical (a pheromone) that prevents it by keeping the workers sterile. She also destroys the unfertilized eggs they do lay. She's quite a tyrant, but the colony is doomed without her, since sterile workers cannot produce more workers (which develop only from fertilized eggs) – and they do all the work the keep the hive alive. 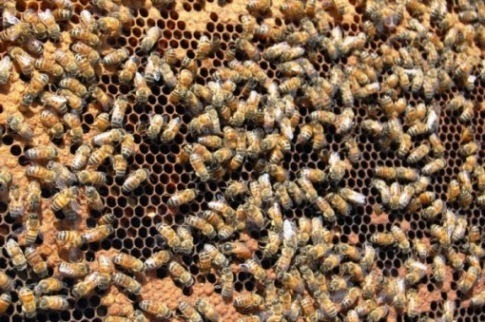 If she is aging naturally, the queen starts producing fewer pheromones and laying eggs in special, larger cells in the hive. Both processes signal the workers to start preparing for a new queen. If the queen dies suddenly (or is killed by a worker mutiny, as in the video), the workers prepare existing eggs to be queens. Newly-hatched larvae that are fed royal jelly, instead of pollen or nectar, develop into fertile females that can mate and lay the eggs that go on to produce a new corps of workers to keep the colony going. At this point, some workers might start laying (unfertilized) eggs that produce drones, but drones don't work, so the colony will die with the current generation of workers. So does this mean that the queen is the only one that benefits in terms of fitness, by passing on her genes to the next generation? Nope. Evolution of social behavior is more subtle than that. Stay tuned for a discussion of inclusive fitness.